‘Isn’t it dangerous?’ asked my family when I mentioned that I wanted to travel in Colombia, ‘why do you want to go?’ Having chatted to a Colombian girl who had told them that it’s not really a safe country, particularly for a solo female traveller, they were worried. Understandable. But no need to worry! My new idea of crewing on a sailing yacht across the Pacific Ocean meant I’d have to skip Colombia in any case. In order to stay within a safe sailing window I had to act quickly and be in either Panama or Galapagos, Ecuador within the next few weeks. No cyclones and stormy seas for me, please. And Colombia? Well, it would have to wait. As often happens, life likes to have a bit of a giggle. The cheapest flights I found routed me via Bogota, Colombia. And when in Colombia, even if just for a few hours, it would be rude not to check out a little of the capital. I’d half hoped one of two friends might be waiting at arrivals for a few hours of brunch time catch-up, but the exit was lined with taxi touting middle-aged men. Although unsurprised, my heart sunk. Just a little. After nine months of travelling, arriving into places with no familiar faces to greet me was starting to become a bit tiresome. Ah, what I wouldn’t have done for a big hug, a warm smile and a friend to show me around. But! – no time to get down in the dumps. Climb back into your gutsiness and get out there, girl! After changing up some money, I went for a chat with a guy in the tourist info point. He turned out to be a smartly suited bearer of bad news. ‘The city and all the interesting things are too far away for your stopover’, he told me. I thought momentarily about retreating back into the comforts of the airport lounge. No. Come on! I’m in Colombia! Let’s go live it, even if only for a moment. 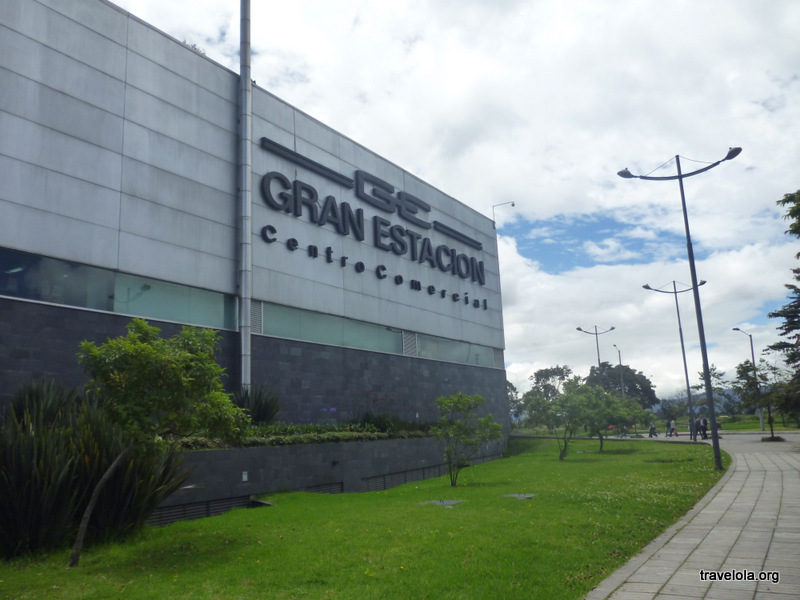 ‘You could get a bus to Gran Estación ’, he said, ‘There are shops and places to eat, and it’s only ten minutes away’. Everyone stared hard at the solo gringa as she tried to figure out where to catch a ride, as she struggled to make sense of buses that bore signs stating that they were going to Gran Estación but actually weren’t going anywhere close. She was clearly no Latina and curiosity stopped the odd passer-by. If they looked a little beyond the straggly, mousey hair, the tall, fair-skinned body and the light, blue eyes, they would have seen a touch of deflation and a mood that was synonymous with the grey, morning sky. 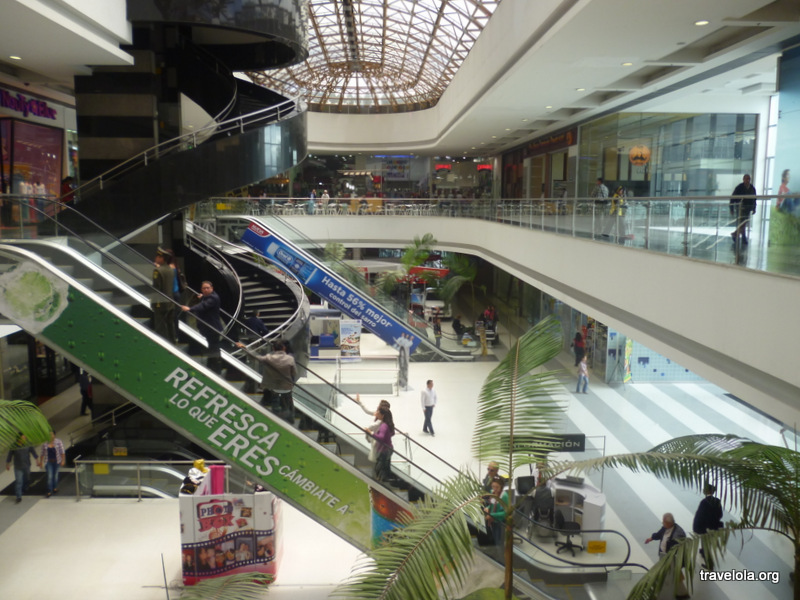 And then at 930AM I was finally there, wandering around an empty shopping centre close to Bogota airport. Nondescript, homogenised, brand focused. Yawn. Do I project my excitement with enough conviction? Within an hour everything was open and trickles of people got down to some serious spending, interspersed with fast food refuels. After a few hours of watching the wealthier and professional people of Bogota meet with colleagues or tap away on laptops over a McCafé coffee, I reversed my Colombian journey back to the airport and a promise of a better tomorrow. Ecuador, my love, I am returning to you.